Dash and Lily’s Book of Dares is one of my favourite Christmas stories. With a fun-filled plot and wonderful characters, it’s a book I always return to in the festive season. So I was thrilled to discover that these two awesome authors would be teaming up once again to write a sequel! 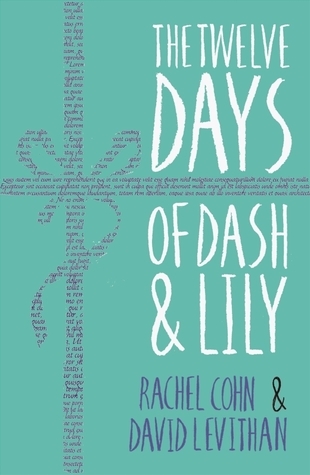 The Twelve Days of Dash and Lily picks up a year after the ending of the first book. Dash and Lily are still dating, but it’s a difficult time for Lily after her grandfather suffers a heart attack. The stress of everything starts to consume her and she finds herself in a rather dark place. Things are on the brink of change for Lily and her family, and she has to learn to come to terms with life not being able to stay the same. Dash becomes determined to cheer her up and get her feeling in the festive spirit again. I adored being reunited with these characters! They’re just as brilliant as they were in the first book and I loved getting to see what had happened in their lives over the course of the year. I was happy to see that Dash was still his witty and cynical self, but he’s also able to do things he never would have dreamed of doing before he met Lily. This story shows how much these two characters have managed to bring out the best in each other. The lengths that Dash goes to in order to bring some joy back to Christmas for Lily is absolutely hilarious. Honestly, it’s a good job I was reading this book in the house because I laughed out loud more times than I can count. This plot is wild but it’s also genius. The variety of characters on offer is what makes this such a fantastic read. From Lily’s louder-than-life family, to Dash’s best friend Boomer, their personalities and the bond between them are the heart of this novel. I loved getting to see Dash team up with Langston for the sake of Lily and to see the pair of them finally grow to like each other. Whilst there are moments of sadness throughout the story, we’re reminded to cherish the people that we have around us and to live in the moment. Full of hilarious situations and heart-warming moments, this is a story that won’t fail to get you in the mood for Christmas. I flew through it in just a couple of days! 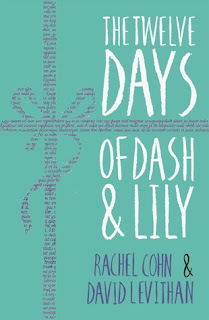 Cohn and Levithan are a match made in writerly heaven and I’m so glad they decided to continue Dash and Lily’s story.